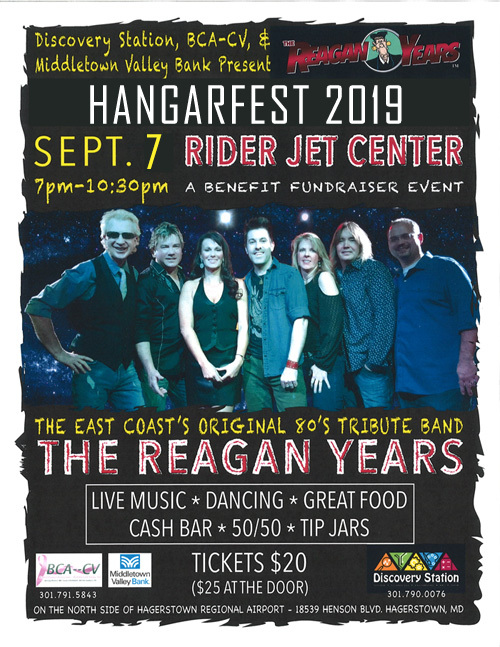 Breast Cancer Awareness--Cumberland Valley, Inc., Discovery Station and Middletown Valley Bank present the 2019 Hangarfest at the Rider Jet Center! Doors open at 7:00 p.m. for this benefit fundraiser event! Dancing, great food, a cash bar, 50/50's, and tip jars too! Tickets are on sale now at Breast Cancer Awareness Cumberland Valley or online at the link below! They are only $20! They will be $25 at the door! You MUST Be 21 Or Older To Attend! All proceeds benefit Breast Cancer Awareness -- Cumberland Valley, Inc.